Twelve years ago, I was well on my way to teaching early childhood education full-time in a college or university setting. Then…the storm came. I started to be short of breath all the time. My legs swelled so much that my skin cracked and water leaked out. Over the period of three months, I went to several different cardiologists and left without any answers. At the hospital, I was rushed into an operating room for an emergency angiogram. The next thing I remember is the doctor telling my family that my heart was only working at 10% capacity. He had inserted a temporary device to pump my heart. Finally, without a heart transplant, I probably would not make it six months. I was only 40 years old. This 52-year-old has defied all the odds. I still have my original ticker. It now works at 25-30% capacity. I’m now on my third pacemaker that I fondly refer to as Princess Constance Tub-a-thump. Though my dreams of teaching at a college or university didn’t happen, I learned how to dance in the rain. The workshops I offer and The Perpetual Preschool are my passion. I don’t feel cheated. I feel honored that I was given the opportunity to pursue a new dream. Maybe you are going through a storm right now. 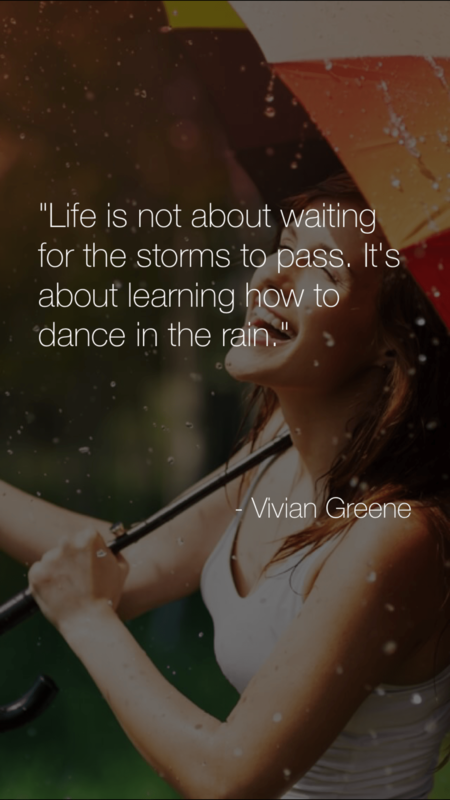 I challenge you to find a way to dance in the rain!